A while ago I came across an article (here) that included this graphic and posted it on this site, here. Scott and Mike commented back. 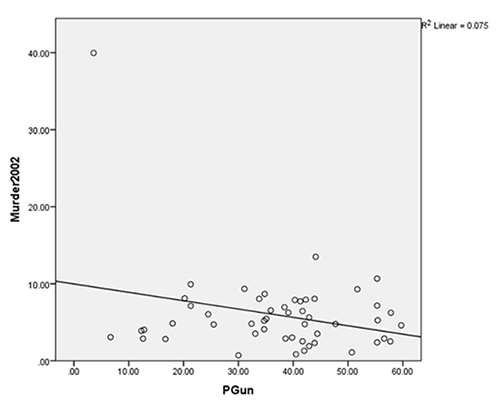 Scott pointed out (correctly) that correlation does not imply causation. Mike mentioned suicides. Which, as it turns out, turns the argument on its head. Scott Alexander at SlateStarCodes, who is smarter and more diligent than me, did a deeper dive, and found out some interesting things. Here’s his post, from which the rest of this is drawn. There’s a LOT more in the post. IMO he represents what we might all aspire to in analyzing these complex issues. Gun deaths is “gun suicides” plus “gun homicides.” Here’s what the gun suicide graph looks like. 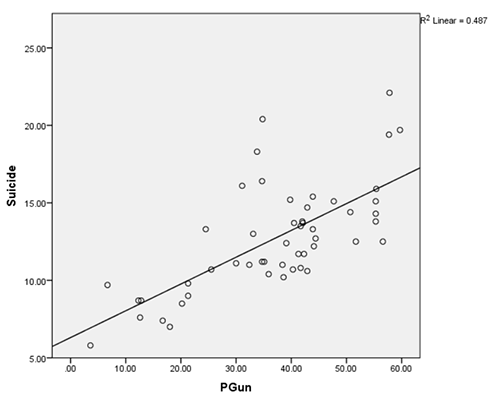 Seems like there’s a pretty clear correlation between more guns and more gun suicides. And if I was anti-gun (I am not, by the way) and if gun owners are going to off themselves in increasing numbers the more guns, then that’s fine with me. 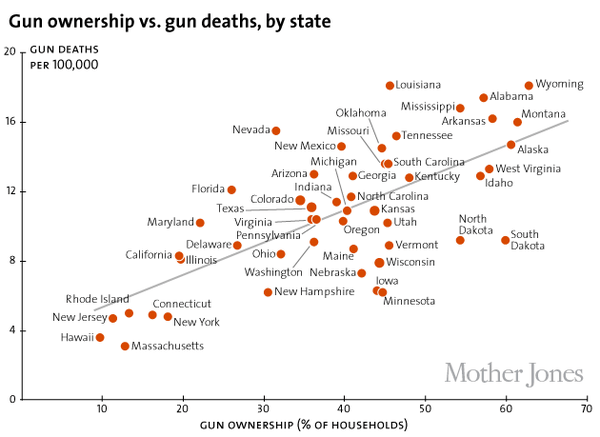 To the extent that there’s any trend, it’s one that shows that more guns implies less murder. That’s just the beginning. Again I encourage you to read the entire post, link here. It’s worth reading, just to see how this sort of thing ought to be done.